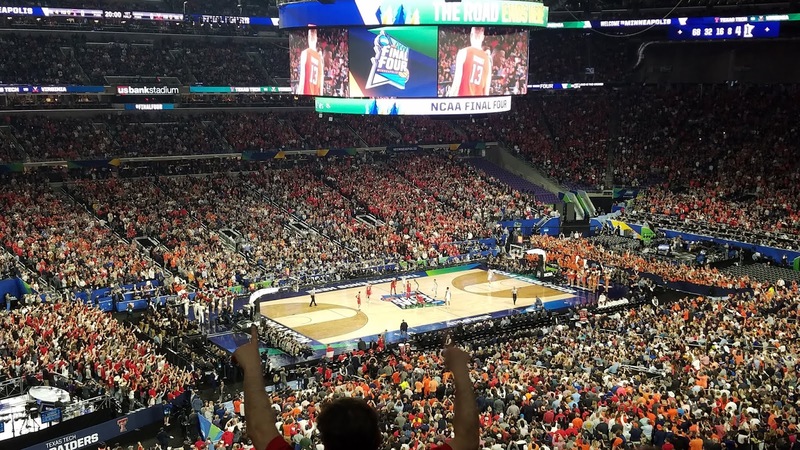 This is my 23rd year of hosting this Bracket Contest, and for the first time, I was able to attend a Final Four Weekend. My seats were in the second level, not the greatest, but being there in that atmosphere was undescribable. Especially when the Auburn Player fouled the Virginia player behind the three point line to end the game. The mood inside the stadium when we all finally realized what was happening....wow! The games were so good and so fun to witness with the passionate fans that were there for each of the four schools. The Texas Tech fans were the loudest, or at least in my section they were the loudest. I knew all of their cheers by the end of the Saturday games. We do have a winner in the 2019 OfficePool64 Bracket Contest. Congratulations goes out to Tom Johnson of Forest Park, Illinois. His first round wasn't that great as he correctly picked 20 of 32 teams, but when eight teams remain, correctly picking seven of the schools was the difference maker, plus correctly picking the Virginia as the champion. We will see you again in 2020!! What a difference a week makes for the tournament results. First weekend, it was clear the top seeds were ranked correctly by the powers that be with 12 of the top 16 teams advancing. And my though last weekend was, if this trend keeps going, the top seeded teams will again advance keeping a lot of bracket sheets in play. Well, that trend did not continue as we ended up a #1, #2, #3, and a #5 advancing to the championship weekend in Minneapolis. We have #1 seed Virginia advancing this year. In my bracket, since they lost as a #1 seed to #16 seed UMBC last year, naturally I was scared to pick them to go far. 186 of the 367 brackets correctly selected them. Then we have #2 Michigan St, in a very exciting game beating the favorite Duke team. 72 of you got this one correct. As I look at the one bracket I did on paper, I have Michigan St as my champion, except when I filled it in online, I picked Gonzaga as my champion. Why did I change? I pick Michigan St as my Champion, a lot, and get burned year after year as they always lose to Duke. Izzo was 1-11 versus Coach K. So I went with Gonzaga, and they are out with Mich St advancing. Only 28 pick sheets correctly picked Texas Tech to beat Gonzaga. Goodbye to my champion team, but thankfully it wasn't after round one like last year. Lastly is Auburn, the #5 seeded team. Just 12 of you brave soles correctly picked them. They were not on my radar this year, but they have been fun to watch. We have exactly one bracket correctly picking all four remaining teams. Congratulations! They can win this bracket contest of Auburn or Texas Tech wins the championship. That's all I have for today, the last three games start back up in Minneapolis, Saturday evening, which I will be attending and finish up on Monday.